A Deion Sanders personal appearance, Deion Sanders speaking engagement, or Deion Sanders endorsement will reflect well on your company. To hire Deion Sanders now for any corporate appearance, fundraiser, motivational speaker event, personal appearance, autograph signing, or website endorsement please contact our celebrity agents at 1-877-6-SPORTS. We will contact Deion Sanders or contact Deion Sanders' agent and provide you with the booking fees and availability immediately upon your request. Direct Sportslink is the only sports speakers bureau and talent booking agency based in the United States securing only sports talent for corporations, associations, and organizations for motivational speaking engagements, personal appearances, and endorsements. We are the premier sports celebrity booking agency and a sports celebrity procurement expert. Accordingly, we will provide you with any relevant Deion Sanders website information and booking agent details so that you can hire Deion Sanders for your next event. Sanders won the Jim Thorpe Award in 1988 while at Florida State University and is one of the best cornerback to ever play college football. His jersey at Florida State, #2, was retired in 1995. 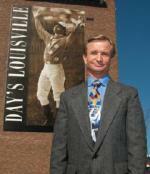 In his nine-year, part-time pro baseball career, Sanders played 641 games with 4 teams. During his most productive year, 1992, he hit .304 for the Atlanta Braves, and stole 26 bases in 97 games. During the 1989 season, he hit a home run and scored a touchdown in the NFL in the same week, the first player to do so. Sanders is the only man to have played in a MLB and NFL game during the same day, and is also the only player to play in both a Super Bowl and World Series. 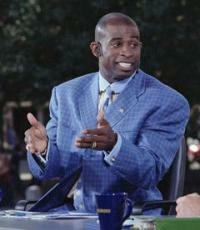 Deion Sanders's professional football career started the same year as his baseball career, 1989. 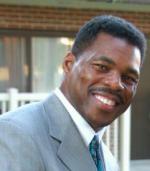 He was the fifth pick of the first round in the 1989 NFL draft by the Atlanta Falcons, where he played until 1993. During his time there, he intercepted 24 passes, three for touchdowns. Over the course of his NFL career, Sanders was selected to 8 Pro Bowls in 1991, 1992, 1993, 1994, 1995, 1996, 1997 and 1998, and was awarded the NFL Defensive Player of the Year Award in 1994. He played briefly with the San Francisco 49ers, where he won a Super Bowl, and went on to win another with the Dallas Cowboys, where he played for several years. He is the only player to catch a pass and make an interception in the Super Bowl. He later was acquired by the Washington Redskins, and retired in 2001, though he would later come back to play in the NFL in 2004. During his 12-year career, Sanders was one of the most versatile weapons in the game. He intercepted 48 passes for over 1000 yards, and scored 22 touchdowns: eight interceptions, six punt returns, three catches, three kickoff returns, one rushing, and one fumble recovery. Based on your interest in Deion Sanders as a speaker or for a personal appearance, Direct Sportslink has provided you additional links below for other sports talent with similar appearance fees, speaker topics, and categories that match Deion Sanders.